Snow?! 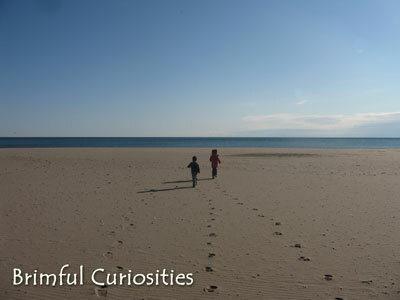 Goodness, just last week we played outside without any coats. Now we're watching with awe and trepidation as our Northeast friends work to restore order after this weekend's freak October snowstorm. Winter is coming whether we want it to or not. Rather than focusing on the negatives, it's best to focus on the wonder. 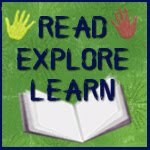 Here's a book that helps kids and adults discover the magic of winter! Dainty snowflakes, snowmen with stick arms, sparkly snow angels ... those are the delightful sights of a razzle-dazzle snow day. 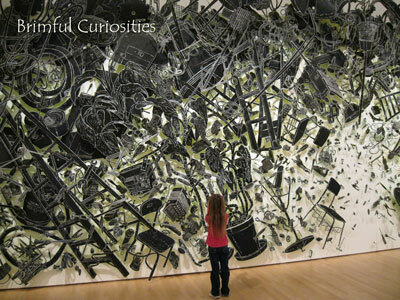 An imaginative little girl named Ruby wakes up and can hardly contain her excitement as she gazes at the snow-covered world outside her window. All bundled up in her fabulous winter garb, she pretends she's a "gleaming-beaming" snow queen and joyfully embarks on a journey in her winter fairy tale world. She looks for her knight (her puppy, Rocket) and tries to avoid the evil ice prince with help from her nobleman friend, Sir Zac. 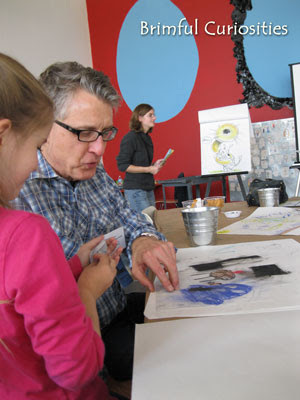 Author/Illustrator Masha D'yans knows exactly how to dazzle young readers. 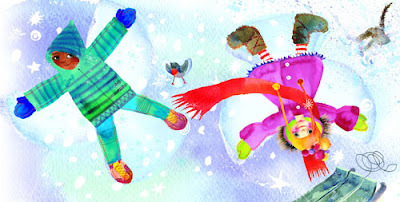 In Razzle-Dazzle Ruby she creates a magical and whimsical winter world with her splendid watercolor illustrations. 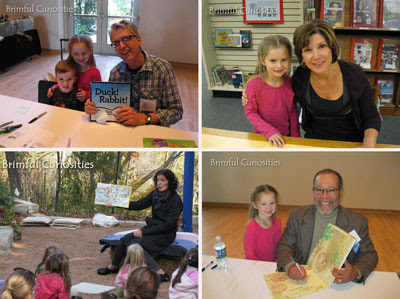 The dainty snowflakes and cute Ruby in her striped red tights -- oh, it's a charming story for sure! And then, as if her gorgeous illustrations weren't enough, D'yans adds more magic by providing hands-on interactive play with some seriously cool pop-ups, pull-tabs and other moveable parts. Kids can help Ruby throw a snowball through the air, ice skate on a glistening pond, and make snow angels on the ground and more. D'yans truly captures the childhood delights of a magical snowfall and my kids can't get enough of her impressive paper-engineered, enchanting snow world. 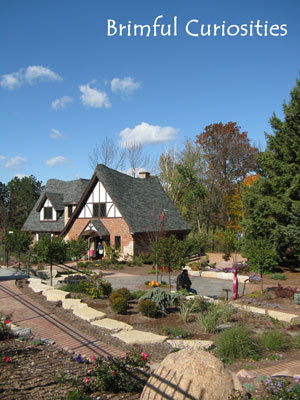 This really is a winter experience you don't want to end! 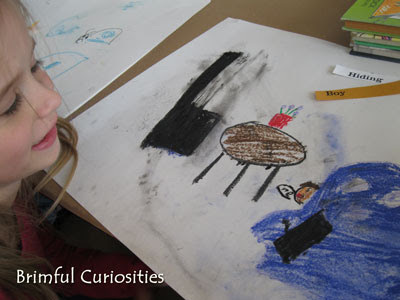 My kids want to jump into the book and embrace the snow-filled world with zeal along with Ruby. We wish there were more than just the ten interactive spreads to carefully explore (like other pop-ups, the book has a thick cover and thinner pages meant to be handled with care). Luckily, it won't be too long before we can play in our own, real snow-filled wonderland. 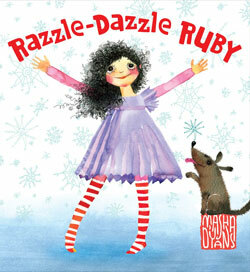 Our very favorite page in Razzle-Dazzle Ruby shows Ruby and Zac creating snow angels. Both my kids like to make their arms move back and forth using the pull tabs. Because we don't have any snow yet to play in, my son and I decided to create our own magical snow angel artwork. 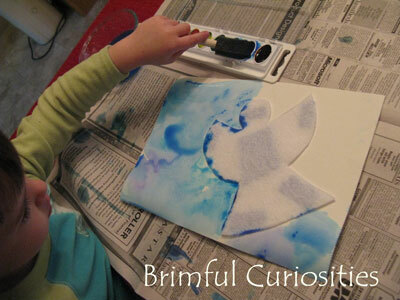 I taped a felt snow angel onto a piece of watercolor paper and encouraged my son to paint the entire picture with blue and purple watercolors. 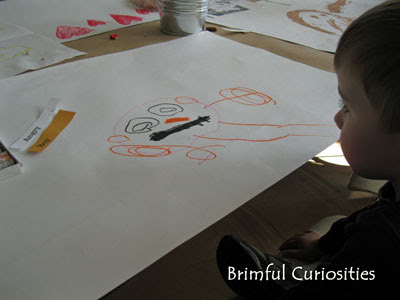 When he was finished we removed the felt snow angel and marveled at the resist art. 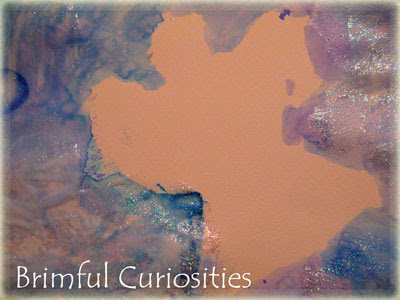 Later on he added some sparkle glaze to add shimmer. Add a little razzle-dazzle to your winter! 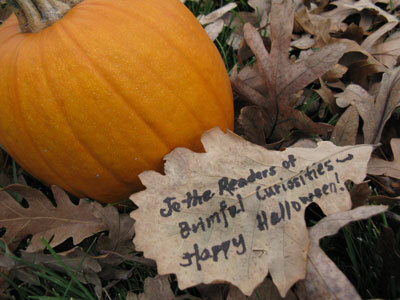 Scholastic Press has kindly offered to give away a copy of Razzle-Dazzle Ruby to a Brimful Curiosities' reader. For a chance to win, leave a comment relative to this post or answer the following question: What's your favorite outdoor winter activity? I'm still a little disappointed the Brewers didn't make it to the World Series. No National League Championship pennant this year. That's OK, though. Despite the outcome of the playoffs, the Brewers still had a record breaking season and we will remain loyal to the Brew Crew. 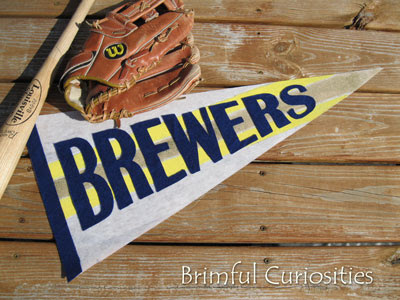 We decided to make our own pennant flags to celebrate the Brewers impressive 2011 season. A pennant is a triangular shaped flag typically used to show support for a sports team. Baseball pennant flags have been around since the turn of the twentieth century and vintage pennants are highly collectible. 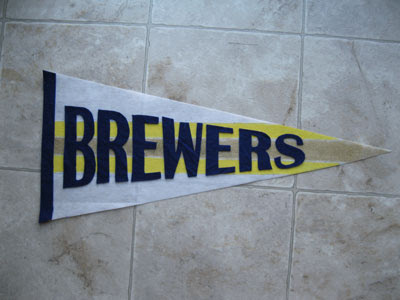 Most full size pennants measure about 12" x 30." 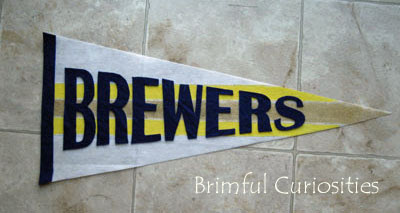 Traditionally pennants were made of wool or felt, although thinner, stiffer pennants are now produced and are available for sale at ballparks and online. 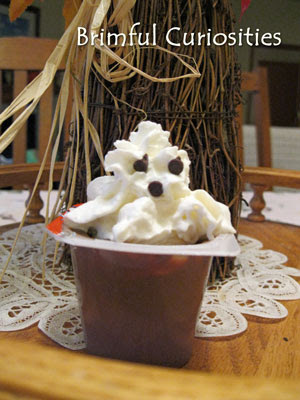 However, it is much cheaper to make a homemade version! 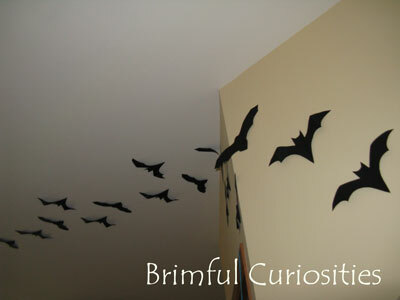 This design could easily be adapted to make personalized name pennant banners to display in your child's room, too. Decorate the pennant with paint and felt. 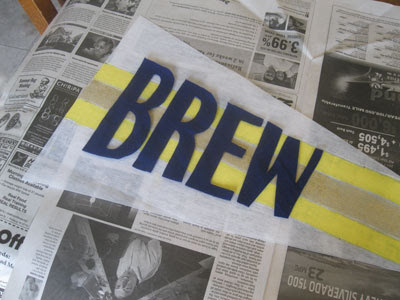 In this example I painted on yellow and gold stripes and glued felt letter cut-outs to the pennant. 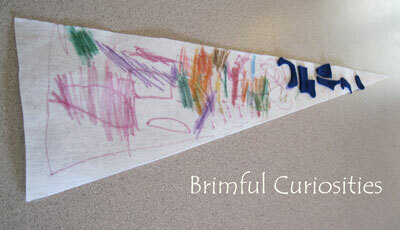 How you choose to decorate your pennant is completely up to you! 2. 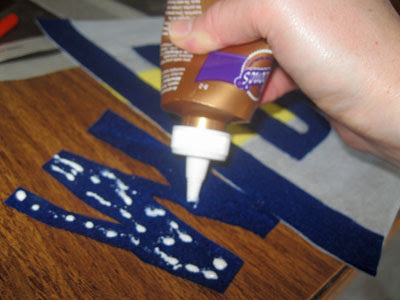 To add painted decorations: Thin the acrylic paint with a few drops of water and carefully apply thinned paint to pennant with a paint brush or foam brush. 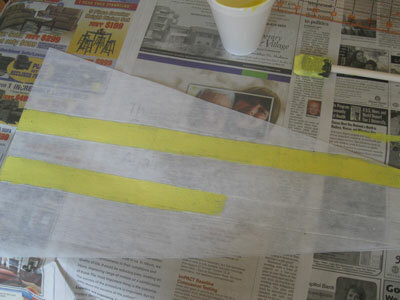 Before I painted I drew a stripe design onto the banner and then painted yellow and gold stripes using the design as a guide. 3. To add felt letters: I used Microsoft Word to design a template to make my slanted letters. I created a text box, choose the Britannic Bold font and applied the following Text Effect: Transform - fade right. You'll have to play around with the font size to get the desired effect and make the font decrease along with the width of the flag. 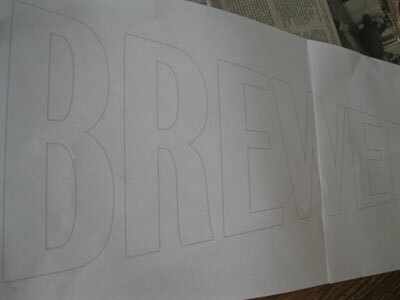 Once you have your letters the right size, print out your template. 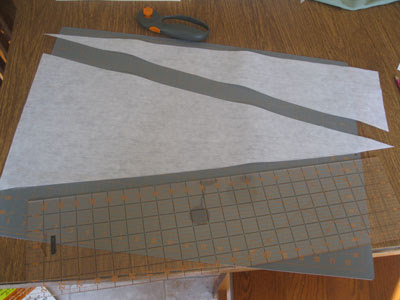 Cut out each letter separately and tape each letter onto the felt. 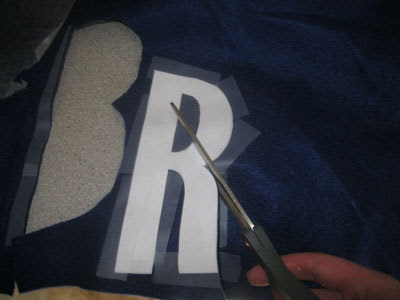 Carefully cut around the letter using a pair of sharp scissors. This technique results in nicely formed, professional looking letters (we use this method to make letters for our banners at church). Perusing the library with my son never fails to entertain. He has very specific criteria in mind when it comes to choosing books. 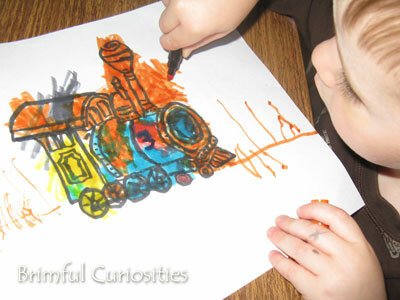 Basically anything with a train, car, airplane or other vehicle on the cover will garner his approval. 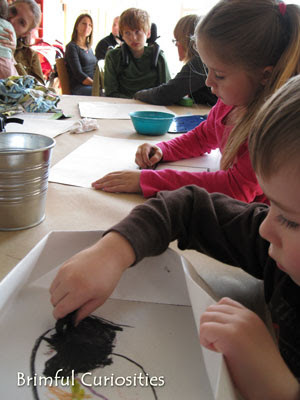 Does this selection method hold true for all preschool-age boys? I don't know, but judging from the ragged condition of the transportation themed books in our library, I'd say this subject is very popular with little boys and quite possibly with little girls as well. Since we've devoured nearly every transportation book in the library, we're always on the lookout for the latest and greatest zooming, zipping, chugging, or digging book. 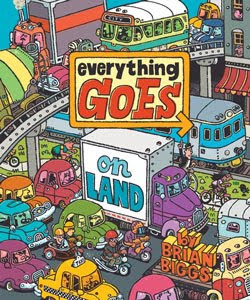 Enter Brian Biggs and his new Everything Goes picture book. My son's reaction? Love at first sight! 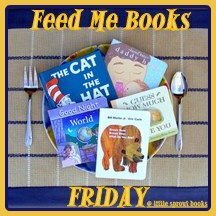 This is the kind of seek-and-find book one could easily stare at for hours, days, and not see everything, and there's also an interesting storyline weaving through the book about a little boy to consider. 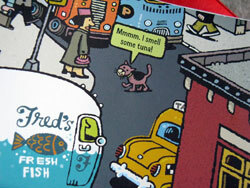 Henry drives into the city with his dad to a surprise location and the two talk [via speech balloons] about all the vehicles they see along the way, discussing some in great detail. Through a number of simple vehicle diagrams, the reader learns along with Henry about the interworkings of a car, tractor-trailer rig, RV, bicycle, and motorcycle. 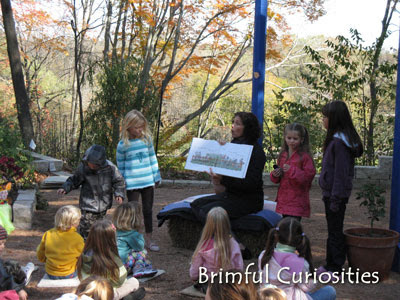 To add to the educational experience, Everything Goes: On Land also works as a challenging counting book. 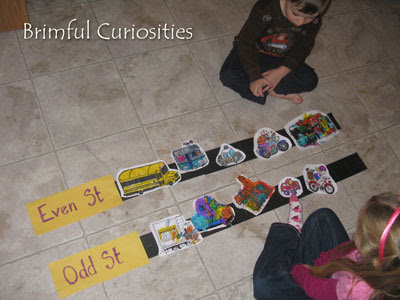 Readers can count one-by-one to 100, searching for each number in order. 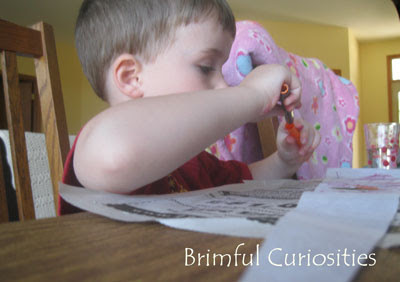 The book is targeted at preschoolers, but older kids enjoy checking this one out, too. My daughter took it with her to first grade when her class was discussing numbers in print. 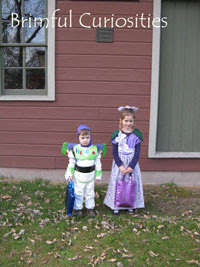 'Twas a hit! A corresponding I Can Read book, Everything Goes: Henry in a Jam is planned for future release, in addition to another Everything Goes series picture book about air travel. 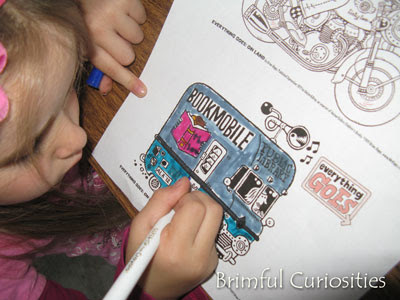 In total we colored 10 vehicles and numbered them. 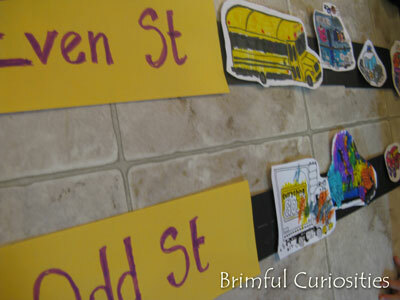 The kids sorted the even and odd vehicles and placed them on the correct street. My son also worked on his number recognition and order skills and placed all the vehicles in order from 1-10. The even/odd idea is one I found on Pinterest. 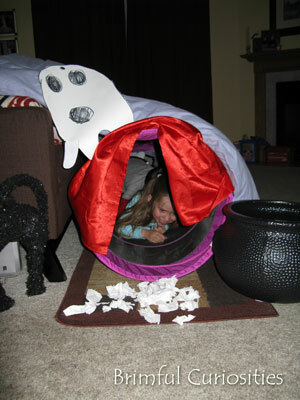 The teacher wife posted a similar activity involving houses.